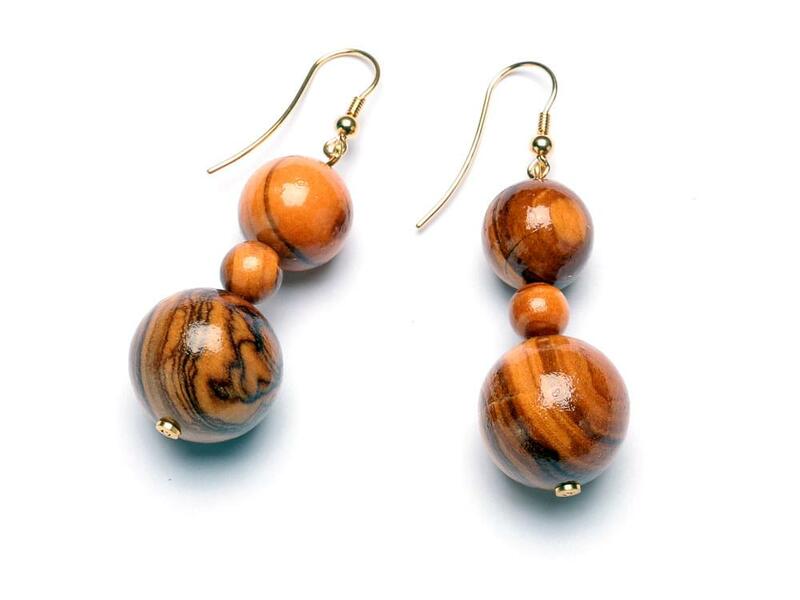 As is typical of most long earrings, these Classic Bead Earrings hang from a hook fastening and measure just under 7cm (2.76 inches) in length. 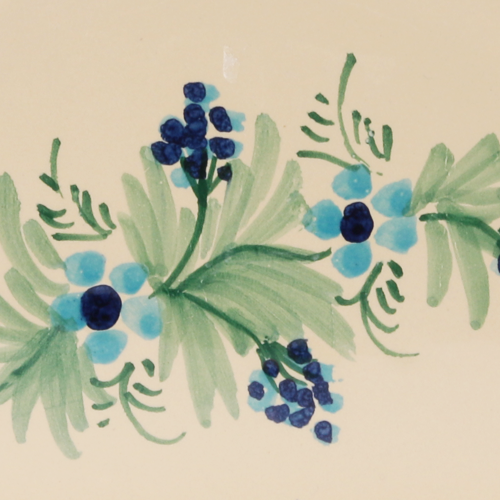 They consist of three olive wood beads each, the bottom one measuring 1.5cm (0.59 inches), the top one measuring 1cm (0.39 inches) and both divided by a small round bead. 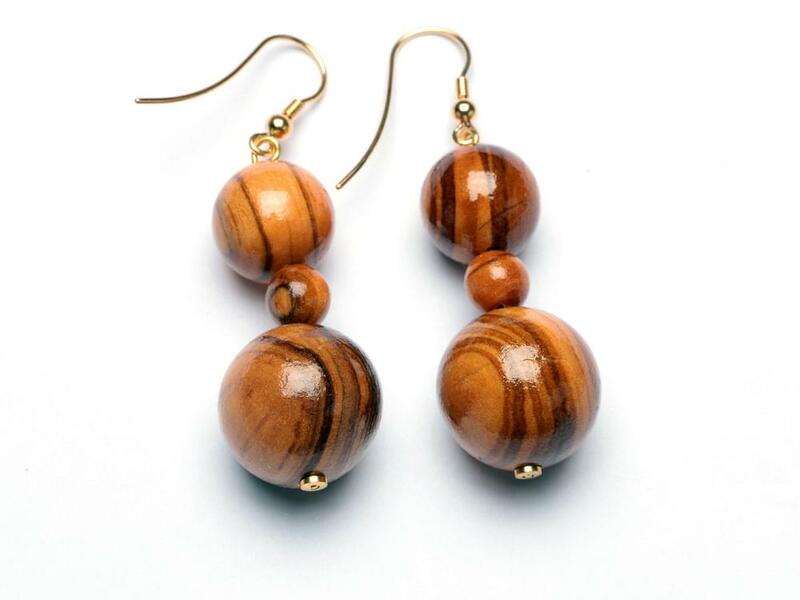 Although perfect on their own or with other pieces of Olive Wood jewellery, these earrings form part of a matching set with the short or long Classic Bead Necklace and the Classic Bead Bracelet.